Marketers likewise use email as their primary communication tool to stay in touch with customers. And it works like a charm as everyone still uses email. 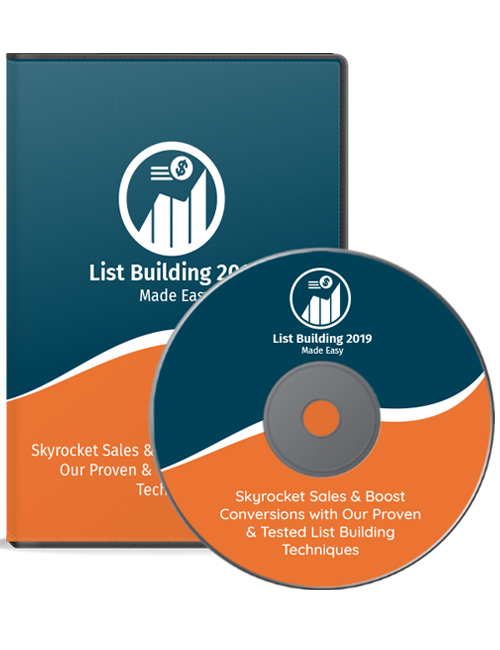 In this video course which complements the List Building 2019 Made Easy ebook, you will discover how to make big things happen through list building. This series of videos shows in full the many different and proven techniques for growing your list. What makes video training more effective is that it makes the concept of learning a lot easier. People prefer videos to ebooks. No matter your preferred choice of learning, there’s a ton of real-world material here to get you going. You’ll learn how to get a better ROI through effective list building, how to get customers to believe in you and your brand, how to keep fresh in the minds of your customers, and much much more. We’re just getting started. If you’re ready to really go from newbie to master level or are coming up short in your list-building goals then this is the video course you need. Get it now. Package includes a professional sales-letter and ready-to-go sales materials.